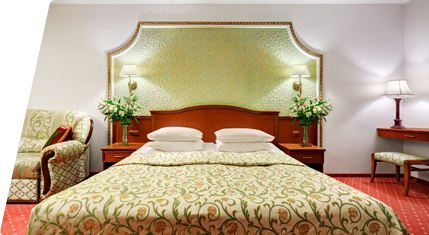 Standard rooms represent classical single and double rooms in Moscow at a reasonable price! 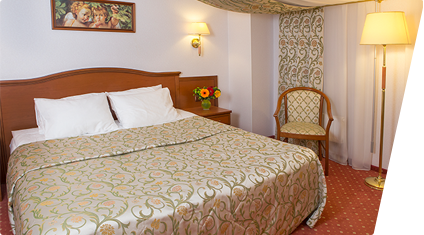 It is well-furnished and equipped with everything one may need for a cozy relaxation. Room area – 22-28 m2. Price – from 6 900 RUR. Room area – 22-24 m2. This non-standard Standard room with extended area is specially designed for the comfortable stay of our guests with special needs. It is the most spacious of all our Standard rooms. There is a special assistance handle next to the toilet, the shower booth is equipped in such a way that you can take a shower in a sitting position. Room area – 28 m2.